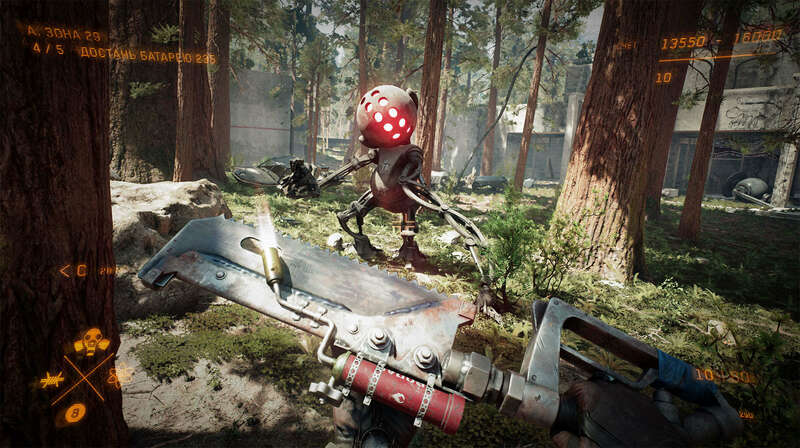 A 10-minute gameplay trailer has been released for Atomic Heart, an upcoming FPS adventure game that was first revealed last year in May. It’s being developed by Russian developer Mundfish, and it will transport players into an alternate universe during the high noon of the Soviet Union. The gameplay so far looks really beautiful with its gorgeous environments and eerie facilities. The world is varied and is filled with killer robots and dangerous obstacles. The game has been compared to games like BioShock and Fallout, and that’s not a bad thing since we can never get sick of the whole futuristic retro vibe. It will feature RPG elements, with the story touching on what could be possible with an alternate USSR with its own versions of robots, the Internet and holograms. Players will be thrust into a world of communism and imperialism and conflicts with the West. You play as a Soviet KGB officer who is sent to check on the facility 3826. The game will have regions featuring different biomes, and the Facility will have multiple levels with surface and underground departments. The enemy robots are produced at the factory to help the Soviet people or the Soviet industry. They are equipped with a combat program as a safety precaution. Melee weapons are recommended in the ordinary (non-PvP) regions, but once you enter the PvP area, you are given more freedom, especially with using firearms. Atomic Heart will be available for the PC, PlayStation 4 and Xbox One. If you pre-order the game, you’ll get a big discount. The Digital Download Edition pre-order will save you 50%, costing you $39.99. It includes the full game, Atomic Heart digital soundtrack, Behind the scenes video and digital art book. In addition, you’ll get to play the game three days earlier and will have access to the beta in Q4 2019. The post Atomic Heart 10-minute gameplay trailer looks gorgeous with deadly robots appeared first on Nerd Reactor.